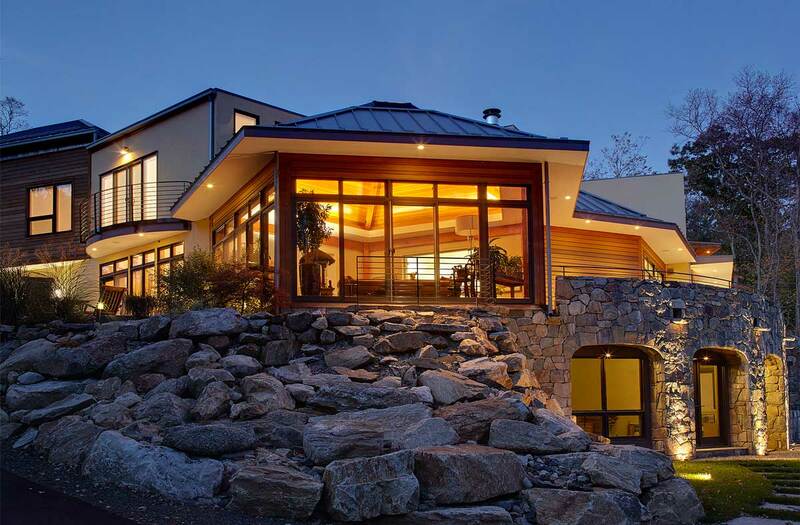 This environmentally sensitive eclectic modern house, designed by Sellers Lathrop Architects, was built in a perfect hilltop setting, nestled into a steep embankment on a three-acre parcel. Site-driven plan geometry allows for southern exposure and makes the most of natural light. 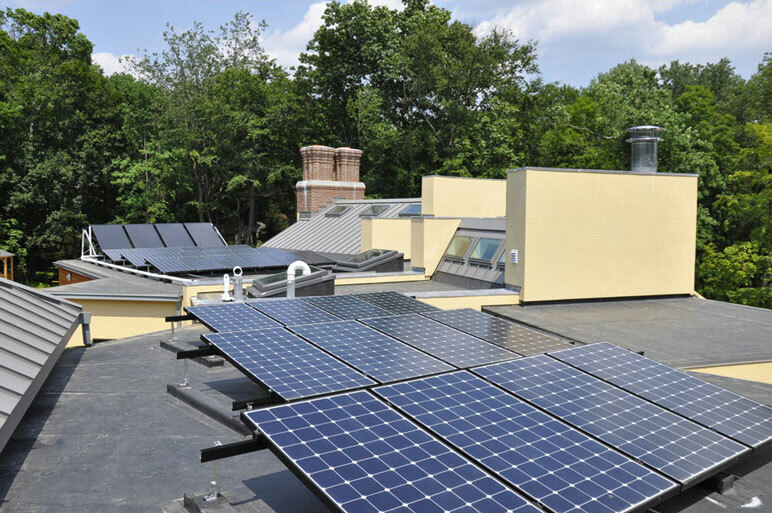 Interplaying rooflines were designed to maximize the orientation of arrays of solar panels. 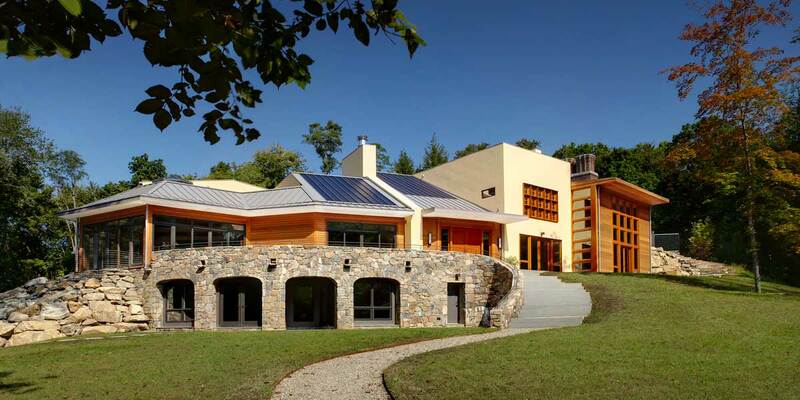 An organic concept evolved to build into and around the hillside, allowing maximum southern sun for passive solar gain and solar panel power generation. From this starting point, a unique structure emerged made up of separate buildings, reminiscent of the architecture of Italian hill towns. 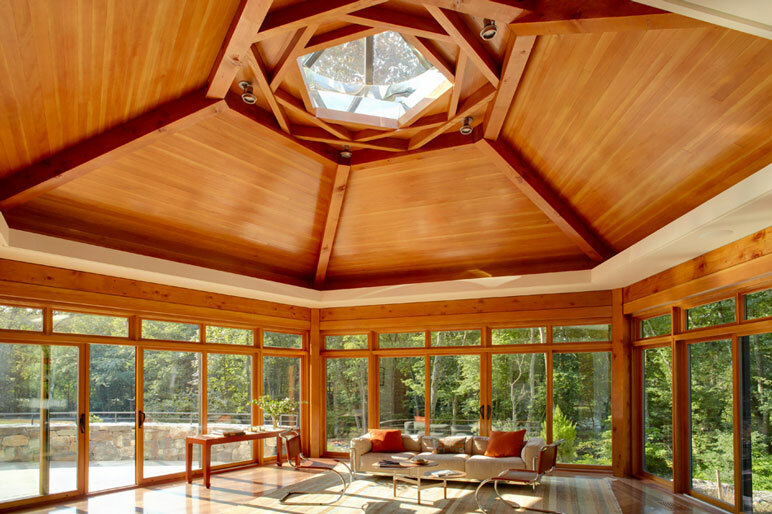 There is a geothermal heating and cooling system, all triple glazed windows and doors, LED lighting throughout, structural insulated roof panels (SIPs), advanced wall framing with water-blown spray foam and a continuous layer of exterior rigid insulation. 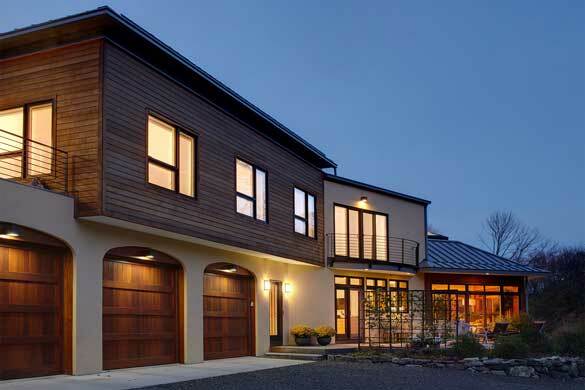 This residence is Energy Star Qualified with a HERS score of 25. 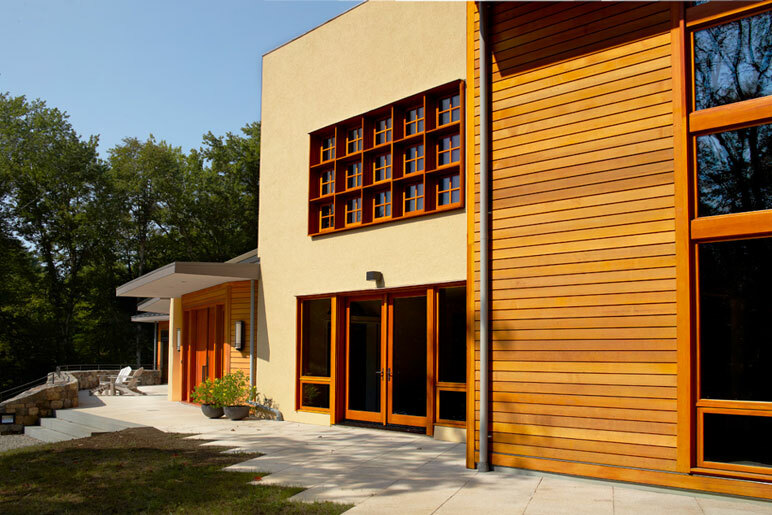 The residence is Energy Star qualified and is awaiting a NGBS (National Green Building Standard) designation.